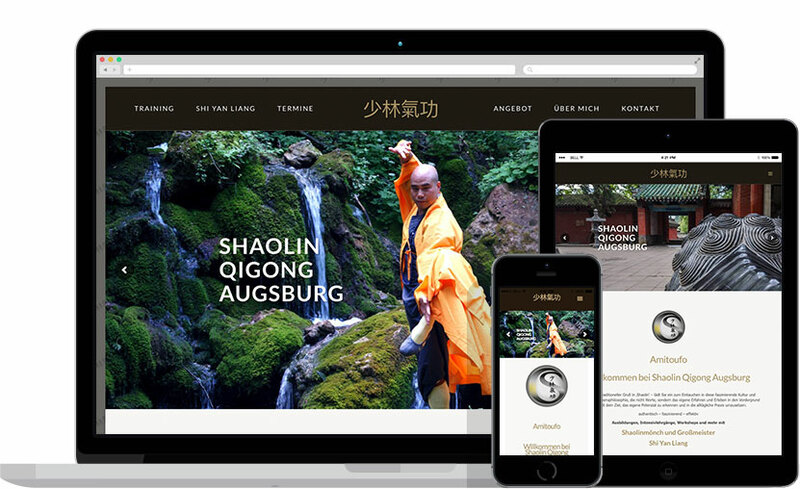 Shaolin Qigong Ausgburg approached us with the need to have a website developed from scratch. They were previously operating solely from a Facebook page, and with increasing customer numbers felt the need to have an online presence that would allow new customers to sign up to the training program directly through the website. Shaolin Qigong also wanted the ability to update their training programme and other content independently. Denkbar built the Shaolin Qigong website from the ground up with responsive design and search engine friendly content in mind rather than having to adapt to these functionalities after. We worked very closely with Shaolin Qigong, who were worried about not being very technical, to understand their needs and make sure they understand how to use and update their new website. The layout was carefully crafted to reflect both their needs and responsive design as well as functionality. Users can now appreciate the carefully planned layout and browse the site with ease no matter the device! In addition, online sign-ups have become so much easier than through the Facebook page, enabling the company to focus on growing their business rather than working around technical limitations. The WordPress template we chose together with Shaolin worked beautifully to communicate the look and feel of the business, while being very intuitive and easy to use for someone who has neither time nor experience with website. All of the elements in this theme were carefully crafted with a high attention to detail. Online sign-ups were enabled to allow users to enrol in classes straight through the web interface.